Dr. Courtney Jackson offers comprehensive, patient-centered evaluations to assess for hormone and nutritional imbalances that may be impacting mood, energy, sleep, fertility, cardiovascular health, and digestion. She is passionate about using food as medicine and investigating the role of a food intolerance as an obstacle to good health. Dr. Jackson received her naturopathic degree from the National College of Natural Medicine. During her medical training, she completed a selective, one-year internship on a cardio-pulmonary rotation with Dr. Martin Milner at the Center for Natural Medicine. She co-founded the Food as Medicine Institute at NCNM, where she continues to manage and develop community-based nutrition and cooking programs. 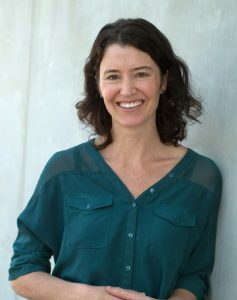 Following undergraduate studies at the University of Michigan, her professional health background was originally based in public health, including work as a bilingual coordinator for family planning and prenatal programs, as an EMT in a rural hospital, and as a project supervisor for a global, non-profit public health organization, Amigos de las Americas. Teaching has also proved to be another passion of Dr. Jackson’s. She served as the “Western Nutrition” instructor at the Colorado School for Traditional Chinese Medicine as well as the “Reproductive Health and Nutrition” instructor at the Nutritional Therapy Institute in Denver. Dr. Jackson grew up in a conventional medical family in the Midwest. Her Naturopathic Doctoral degree beautifully rounds out the medical bunch and has added a dynamic touch to family conversations. Because of her upbringing and clinical training experience, Dr. Jackson believes very strongly in an integrative approach to healthcare to best serve her patients’ needs.